Until recently it would have been cheaper to walk into any branch of Boots the Chemists or Superdrug and buy Zotrim over the counter than from its very own official website. The in store experience would have also offered far more appeal – the marketing people that were responsible for Zotrim’s public image had one foot set very firmly in the nineties, the other foot, further back still. Now, it seems they have a flashy new website and some pretty decent pricing to accompany it. 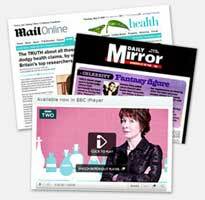 Zotrim, as a brand has never really taken off, it has not had the sheer marketing strength of its high street rivals. The introduction of Alli, the infamous and much discussed miracle diet pill seemed to spark a lucklustre UK diet pill market into action. While the United States are bombarding UK internet shoppers with increasingly ridiculous fat burners and stupid sounding diet pill products it is the relative old timers that offer a greater chance of weight loss success. If you are considering buying Zotrim either purchase from a high street outlet or the official Zotrim Website – purchases from the official site are now covered by a 6 months 100% money back guarantee. 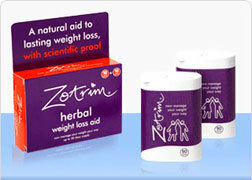 Zotrim has possibly the most clinical evidence attached to it compared to any other diet pill available over the counter. With 8 independent clinical trials dating back to 2001 with The British Food Journal and Kings College London among the authors, Zotrim is both clinically proven to aid the weight loss process and verified to be completely safe and side effect free. Zotrim is a natural and herbal diet aid that is designed to reduce calorie intake by suppressing appetite before, during and after a meal and also providing an increase in energy levels giving the dieter extra incentive to burn calories. Currently the price online via the official website brings it in line with most high street outlets – the official website also offers the opportunity to buy up to 6 months supply costing a shade over £70. If you were to buy a 6 months supply of Alli it would cost upwards of £250.